With HubSpot COS’ distinctive template, we’ve succeeded at usage optimization. 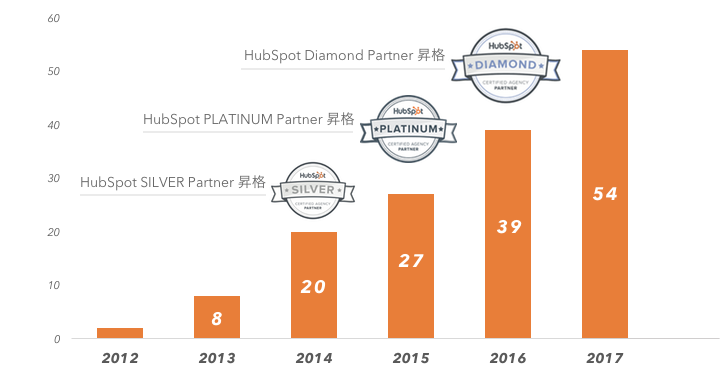 Our Diamond Agency Partners represent the best of the best, going above and beyond to bring inbound marketing to their clients around the globe. 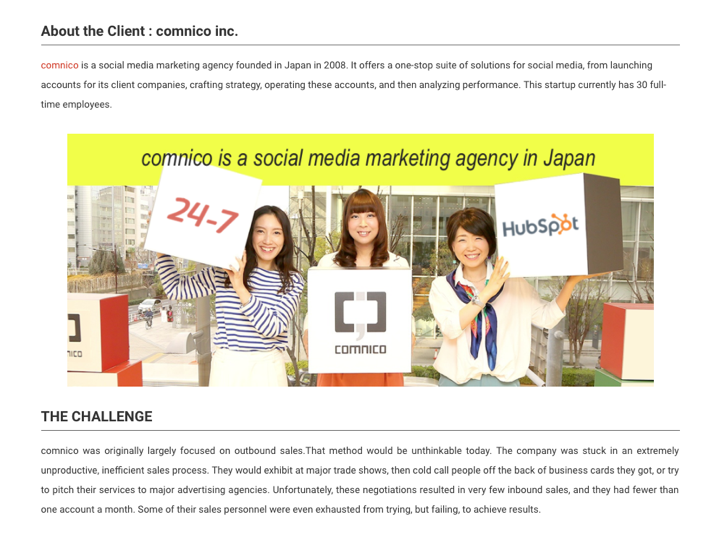 24-7 has proven itself to be a valuable partner for HubSpot Japan, and is well deserving of this award. We congratulate them on this great achievement and are excited to see what they can achieve in the future. As one of our early Partners in Japan, we are excited to see 24-7's focus on customer success and ROI being acknowledged as APAC's 2017 Partner of the Year. As we continue to see buyer's in Japan shift their marketing and sales approach to match how buyer's buy and consume content, we are confident 24-7 and their team will be at the forefront to help their customer's make this shift successfully and see greater returns on their investments. 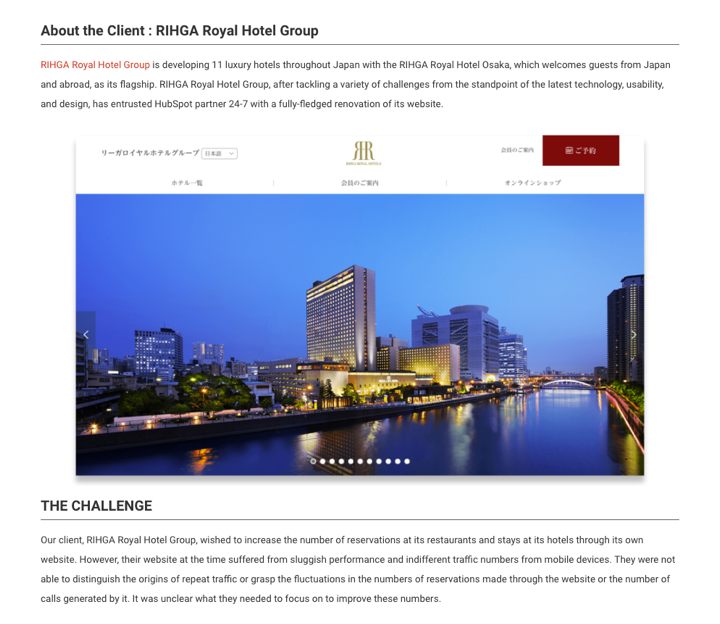 24-7 has been instrumental in helping to bring the Inbound Marketing movement to Japan. 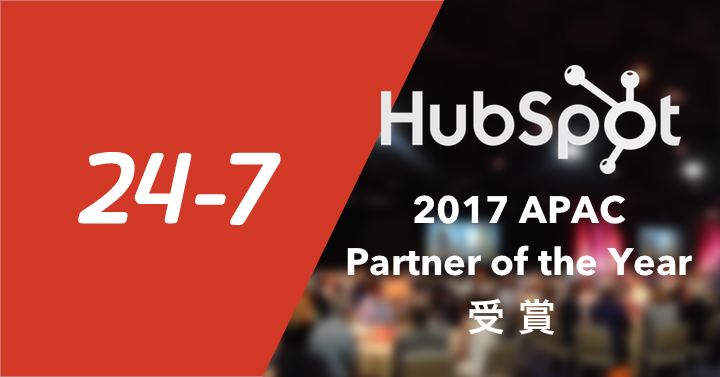 As our longest standing partner in Japan, they continue to surpass our expectations and are well deserving of the "2017 APAC Partner of the Year" award from HubSpot. The value they deliver to their customers is second to none. I look forward to what the future holds for 24-7 and HubSpot Japan as we continue to help SMB's grow and evolve to match quickly changing consumer behaviors.